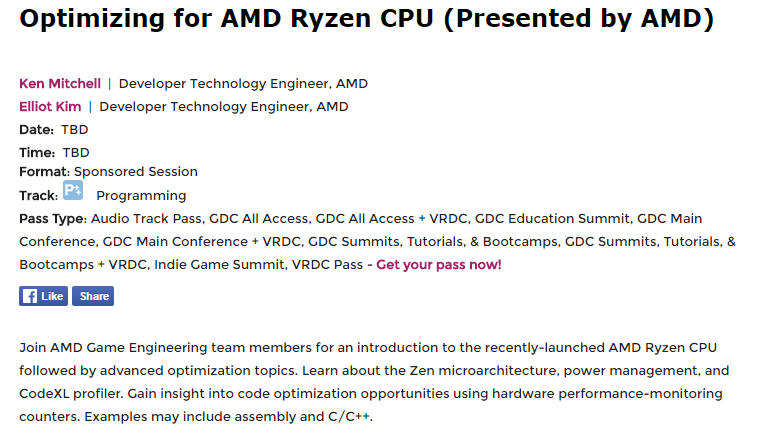 The GDC event runs from February 27th to March 3rd, and currently the AMD talk is not on the exact schedule yet, so it could appear any day during the event (so be wary if anyone says Feb 27th). At this time AMD has not disclosed an exact date either, but it would be an interesting time to announce the new set of Ryzen CPUs right in the middle of both GDC and Mobile World Congress which is also during that week. It would mean that Ryzen news may end up being buried under other GDC and smartphone announcements. Then again, the launch could easily be anytime during February – this March 3rd date only really puts an end-point on the potential range. 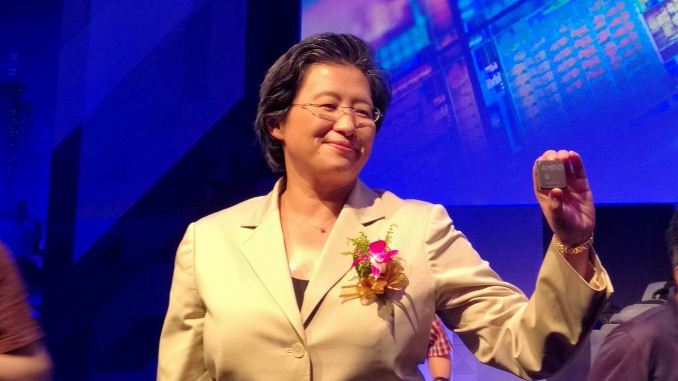 AMD has stated many times, as far back as August, that Q1 is the intended date for launch to consumers in volume. 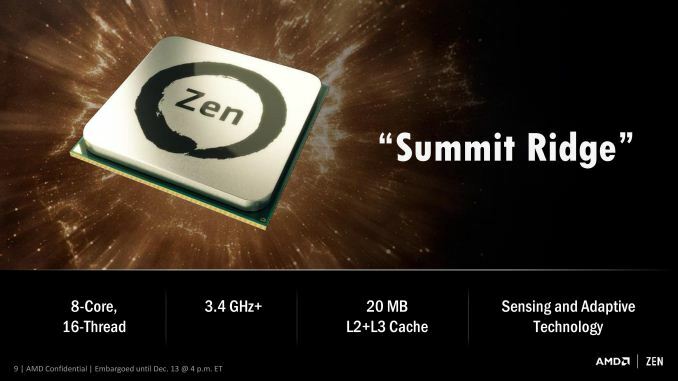 When we spoke with AMD at CES, nothing was set in stone so to speak, especially clock speeds and pricing, but we are expecting a full launch, not just something official on paper. Ryan will be at GDC to cover this exact talk, and I’ll be at MWC covering that event. Either way, we want to make sure that we are front of the queue when it comes time to disclosing as much information as we can get our hands on ahead of time. Stay tuned! I'd really like to support AMD to at least help maintain some amount of competition in the market, but as Anandtech articles have already pointed out in the past, many AMD processor-equipped laptops are stuck on single channel memory even though the CPU can handle dual channel. It's not a big deal until the system has to turn to RAM to support the graphics card. That really kills the whole AMD thing for me...well there was that and the anemic performance of the Athlon x4 860K I purchased last year that was at best, only a little faster than the Q6600 it replaced. They could easily get me if they make it FULLY win7 compatible also. I can't see buying either side if it forces me to win10, telemetry crap, Desktop trying to act like a mobile device etc etc (jeez list of hate I have here is long). I'm almost certain many forms of *nix will have full support so maybe they'll get me that way and my current desktop could be my last WINTEL PC finally. Bring on the Vulkan games so I can finally make a move without the need for Dx or Wintel.